Joesph Pirri, 32, died after he was stabbed in his car during a snow storm in Deptford Township on March 7, 2018. 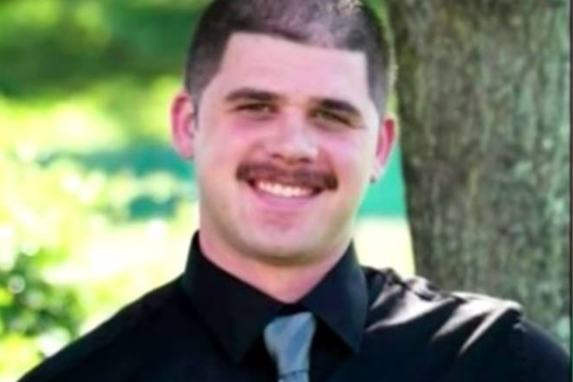 Authorities in Gloucester County filed charges Wednesday in last month's fatal road rage stabbing of a father whose car was stalled out in a snowstorm. Joseph Pirri, 32, was killed March 7 after his vehicle became trapped in heavy snowfall. When a Ford F-150 pickup truck pulled up in front Pirri's car, the driver allegedly came out wielding a sharp object, according to prosecutors. In an assault apparently motivated by road rage, Pirri was repeatedly slashed in the face and left inside his vehicle on Tanyard Road near the intersection of Mail Avenue. Surviving the initial attack, Pirri was able to provide a description of the perpetrator to investigators. He eventually succumbed to his injuries on March 15 at Cooper University Medical Center in Camden. Deptford Township police, joined by officers from Gloucester County and U.S. Marshals, tracked the pickup truck Wednesday morning at a gas station in Williamstown. The driver of the truck, identified as 54-year-old Everett Moore, Jr., of Clayton, was arrested and charged with first-degree murder and related weapons offenses. In the wake of Pirri's death, supporters donated more than $13,000 to a GoFundMe page set up to assist with the family's financial needs. Moore remains held at the county jail ahead of a detention hearing.